Meet the faithful women God sent to serve alongside His patriarchs. 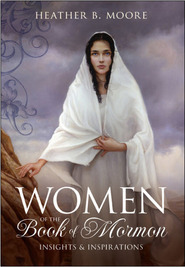 We may recognize their names, but there is so much more to discover about Sarah, Rebekah, Hannah, Ruth, and the seventy other Old Testament women profiled in this book. Filled with stunning photography that brings their stories to life, this book is an ideal companion to your study of the Old Testament. Amanda Jane Williams grew up in the tiny little town of Darlington, Idaho. She has always had a love art that was encouraged by her parents. Mandy met her husband, Bryan Williams, in 2005, and they were married in the Idaho Falls Temple. Although she had previously taken classes in art and photography, becoming a mother has helped her to find herself as an artist. She currently lives in Blackfoot, Idaho, with her husband and four children. HEATHER FARRELL'S love for the scriptures began young, when at the age of eleven she hid a flashlight under her pillow so she could read the Old Testament late at night. Her love for the women in scriptures began when her oldest son was born around Christmastime and she felt a kinship with Mary, the mother of Jesus. As she began to research Mary, she realized that there were hundreds of women in the scriptures, but very little had been written about them. 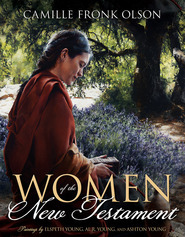 Excited by all the women she discovered, she began sharing what she learned on her popular blog, Women in the Scriptures (womeninthescriptures.com). Primarily self-taught in the scriptures, Heather is a testament to the truth that becoming a scholar of the gospel is not beyond anyone’s reach; it just takes a inquisitive mind and the companionship of the Holy Ghost. Heather grew up in Idaho but currently lives in Boone, Iowa with her husband, four children, two sheep, a goat, and a flock of chickens. This is the most insightful book that I have read. Iand have found this book of profund help, wihilst studying the Old Testament, and this book together. It brings to life and clarifies the roles of the wifes, mothers and daughters. I love the strength that these women had, and hopeto be able to follow there example. Thank you Heather for providing this book for ourstudy and growth.